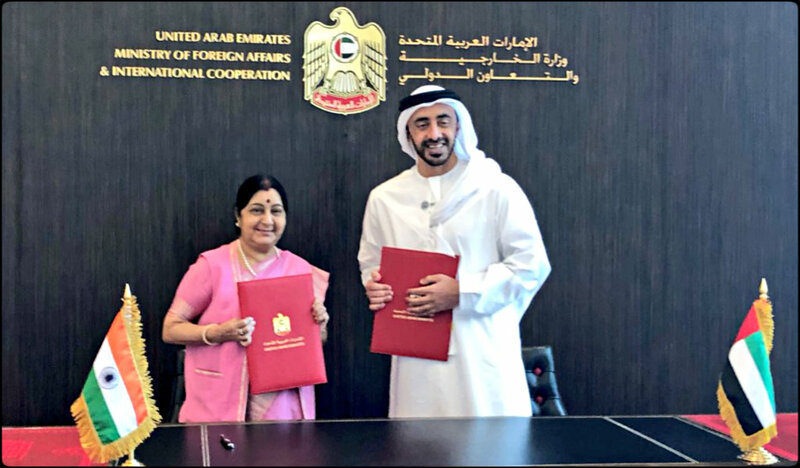 Abu Dhabi: India and United Arab Emirates (UAE) signed two agreements, including one on currency swap, on Tuesday. The deals were signed after India’s External Affairs Minister Sushma Swaraj and her counterpart Abdullah bin Zayed held discussions to step up bilateral cooperation in areas like security, defence, counter-terrorism, trade and energy. Swaraj, who was on a two-day visit to UAE, arrived in Abu Dhabi on Monday. She was received by Abdullah ahead of the UAE-India Joint Commission Meeting in Abu Dhabi. Both the countries signed the currency swap agreement that allows trading in their own currencies and payments to import and export trade at pre-determined exchange rate, without bringing in a third benchmark currency like the US dollars. An MEA official said the two leaders discussed several matters of mutual interests including defence, security, counter-terrorism, trade, economic, energy, science and technology, and civil aviation among others. Furthermore, both the nations agreed to undertake development projects in Africa. 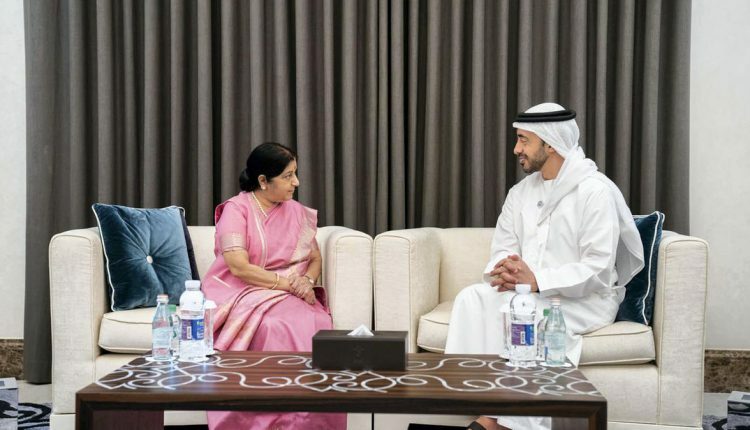 Swaraj also called on Abu Dhabi’s Crown Prince HH Sheikh Mohammed bin Zayed Al Nahyan. Notably, this is the 12th session of the India-UAE Joint Commission Meeting for Economic and Technical Cooperation.